The Members’ Expenditures Report for the third quarter of 2018-2019 outlines Members’ expenditures processed by the House Administration between April 1 and December 31, 2018. The expenditures incurred by Members in the discharge of their parliamentary functions are published within three months of the end of each quarter. These expenditures are subject to the policies of the Board of Internal Economy that are in effect when the expenses are incurred. The current policies are explained in the Members’ Allowances and Services Manual available on ourcommons.ca. The expenses reported in the Members’ Expenditures Report are, to some extent, reflective of the characteristics of the constituency that each Member represents. Constituency size, population and location are factors that influence Members' expenditures. The Members’ Expenditures Report presents year-to-date expenditures by budget and expense category. Member’s Budgets: This column presents two budgets to which Members may charge expenses. Member's Office Budget: Members are provided with an annual office budget to pay for employee salaries, service contracts, hospitality and advertising expenses, other printing services, constituency office leases, office operating costs, transportation expenses (when no travel points are used), as well as other travel-related expenses. For more information, see the Member's Office Budget by Constituency appendix in the Budgets chapter of the Members’ Allowances and Services Manual. Travel Status Expenses Account: Members are provided with an annual allocation to pay for the per diem and accommodation expenses that they personally incur while in travel status, as well as expenses related to a declared secondary residence. Resources Provided by the House: This column presents the costs incurred by the House Administration to support Members in the discharge of their parliamentary functions, as well as the costs related to travel points and booked tickets for which a claim has not yet been processed by the House Administration. Travel Points: This column presents travel points used by Members and their authorized travellers in support of Members’ parliamentary functions. Members are provided with travel points at the beginning of each fiscal year. A travel point is equivalent to one round trip and a trip means a direct trip, by any means, to one destination for a particular purpose. Regular: The number of points used by Members and their authorized travellers when travelling between the constituency and Ottawa, within the constituency, and from Ottawa or the constituency to the provincial/territorial capital. Special: The number of points used by Members and their authorized travellers when travelling within Canada, other than for regular trips. U.S.A.: The number of points used by Members when travelling to Washington D.C. or New York City. The Detailed Travel Points Report provides information about Members’ and authorized travellers’ trips processed between April 1 and December 31, 2018, for which travel points were used. Employees' salaries: This category includes the salaries of Members' employees. Service contracts: This category includes the costs for professional, technical or administrative services provided to Members. Member: This sub-category includes Members' transportation expenses when travelling in support of their parliamentary functions. Designated traveller: This sub-category includes transportation expenses incurred by Members' designated travellers who, under specific conditions, may also be reimbursed per diem and accommodation expenses when representing a Member at an event. Each Member may designate one person, other than the Member's employees or another Member who is not the Member's spouse, as a designated traveller. For the list of current designated travellers, see the Public Registry of Designated Travellers. regardless of age, wholly dependent upon the Member by reason of physical or mental disability. Employees: This sub-category includes transportation, accommodation and per diem expenses incurred by Members' eligible employees when travelling in support of a Member's parliamentary functions. 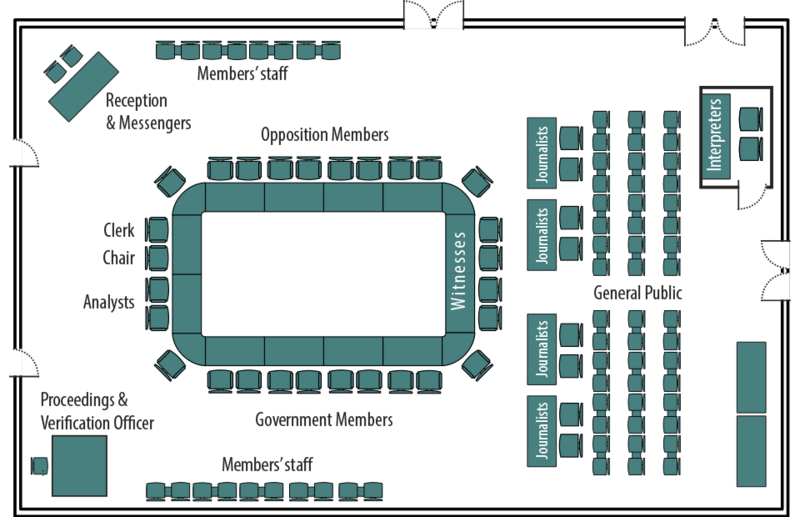 Member's accommodation expenses: This sub-category includes accommodation expenses incurred by Members when travelling in support of their parliamentary functions. Member's per diem expenses: This sub-category includes per diem expenses incurred by Members when travelling in support of their parliamentary functions. costs associated with the Member's stay in a hotel or private accommodation if the Member does not own or rent a secondary residence. Hospitality: This category includes the cost of food, beverages, catering services, equipment rentals and/or live entertainment for meetings, non-partisan events and other functions hosted by Members, as well as tickets for meals at community activities or events attended by Members. The Detailed Hospitality Expenditures Report provides information about Members' hospitality expenditures processed between April 1 and December 31, 2018.
cost of gifts given to a civic leader or dignitary in the discharge of a Member's parliamentary functions. Advertising: This category includes the cost of print and other media sent to a Member's constituents, as well as promotional items given to a Member's constituents, to advertise the Member's name and contact information, assistance and services provided, as well as constituency meetings, and to share congratulatory messages, seasonal greetings, partisan opinions or advocacy statements. Householders: This sub-category includes the production costs of printed materials sent by Members to households located in their constituency to inform constituents about parliamentary activities and issues. Ten percenters: This sub-category includes the production costs of printed or photocopied materials used to communicate with constituents and reproduced in quantities not exceeding 10% of the total number of households in a Member's constituency. Other printing-related expenses: This sub-category includes the cost of all other printing services. Constituency office leases, insurance and utilities: This sub-category includes the cost of office leases, liability insurance, utility fees (e.g. hydro and gas) and relocation expenses for Members' constituency offices. Furniture, furnishing and equipment purchases: This sub-category includes the cost of furniture and office equipment purchased by Members for their constituency offices. Equipment rentals: This sub-category includes the cost of rental agreements for equipment, such as photocopiers. Informatics and telecommunication equipment purchases: This sub-category includes the cost of computers, laptops, tablet devices, printers and other related equipment, as well as smartphones and related devices. Telecommunication services: This sub-category includes the cost of voice and data plans for various mobile devices, as well as the cost of Internet services in constituency offices. Repairs and maintenance: This sub-category includes the maintenance and repair costs of Members' offices and assets such as equipment maintenance and office renovations. Postage and courier services: This sub-category includes the cost of postage and courier services. Materials and supplies: This sub-category includes the cost of materials, paper and office supplies. Training: This sub-category includes training costs incurred by Members, their spouse and their employees, subject to certain conditions. For more information about the Members' Expenditures Report, please refer to the Frequently Asked Questions. Any further inquiries about this report should be directed to the Board of Internal Economy spokespersons or to the Member in question.